The clay balls may represent the world's "very first data storage system," at least the first that scientists know of, said Christopher Woods, a professor at the University of Chicago's Oriental Institute, in a lecture at Toronto's Royal Ontario Museum, where he presented initial findings. 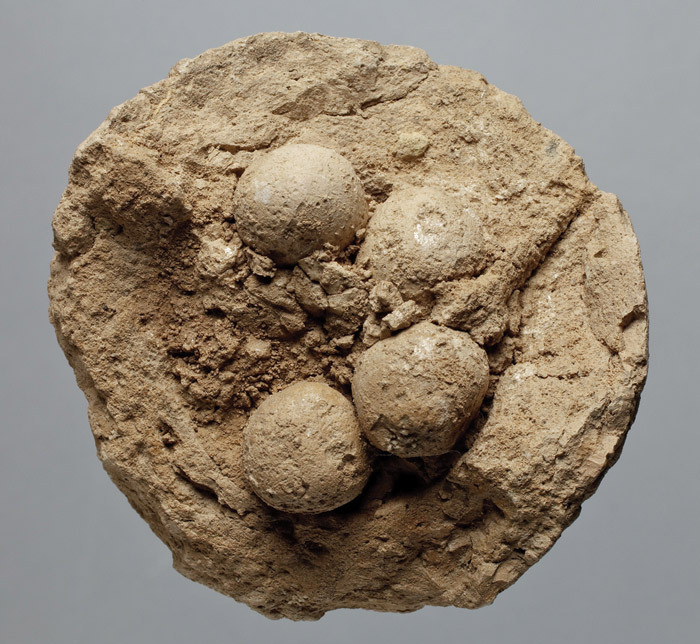 The balls, often called "envelopes" by researchers, were sealed and contain tokens in a variety of geometric shapes — the balls varying from golf ball-size to baseball-size. Only about 150 intact examples survive worldwide today. The CT scans revealed that some of the balls have tiny channels, 1-2 millimeters (less than one-tenth of an inch) across, crisscrossing them. Woods said he's not certain what they were used for, but speculates the balls contained fine threads that connected together on the outside. These threads could have held labels, perhaps made out of wax, which reflected the tokens within the clay balls. 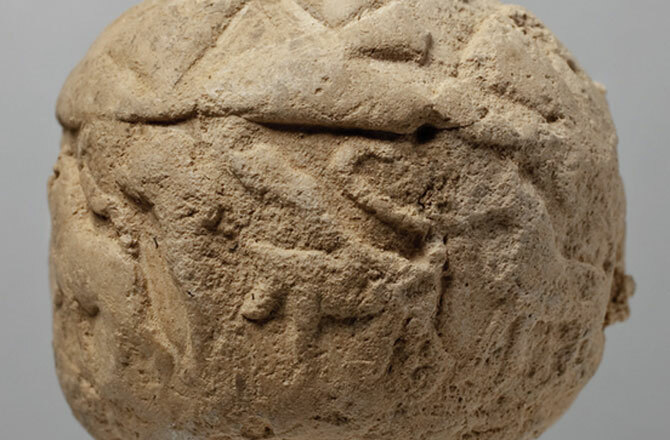 Clay ball with tokens, held at the Oriental Institutre of the University of Chicago. Photo credit: Anna Ressman, Or.Inst.Chicago.